Congratulations! You have been selected to the 2018 Massachusetts Super Lawyers list. Rosanne P. Klovee, Esq. is honored to be selected to the 2018 Massachusetts Super Lawyers list, an honor reserved for those lawyers who exhibit excellence in practice. Only 5% of attorneys in Massachusetts receive this distinction. 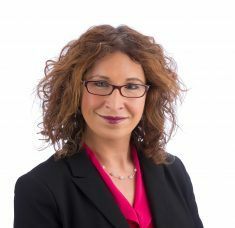 Attorney Rosanne Klovee has over 15 years of experience and focuses her work on all aspects of family law including divorce, modifications, paternity, custody disputes, prenuptial and postnuptial agreements. Rosanne approaches her work with dedication, skill, and compassion. Rosanne P. Klovee serves clients in Middlesex, Essex and Norfolk Counties in Massachusetts. Each year, Super Lawyers recognizes the top lawyers in Massachusetts via a patented multiphase selection process involving peer nomination, independent research and peer evaluation. The Massachusetts lawyers who receive the highest point totals during this selection process are further recognized in Massachusetts Super Lawyers Top Lists.